One of these was Gran Trak 10 , the company’s first car-racing game, which it released in March 1974. Driving cars made of tiny dots around a track also made of tiny dots proved popular, but Gran Trak 10 ’s arcade cabinet design left something to be desired. 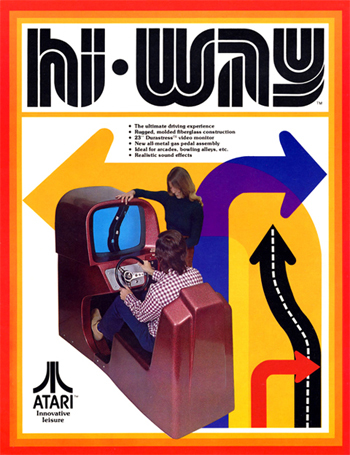 Although it featured realistic controls (gas and brake pedals, steering wheel and gearshift), the player had to stand up to play it.